A simple slouchy beanie, with a subtle, textured guitar design -- perfect for everyone who wants to show their love for music without wearing anything flashy. 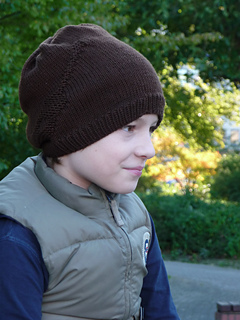 This is a perfect unisex hat, with sizes from 16” (40.5 cm) to 22.5” (57 cm) head circumference, so it should fit almost everyone from child to grown up man. 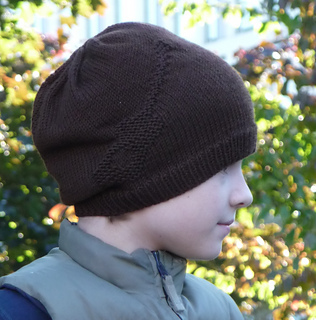 The hat is knit in the round, bottom up, and the pattern comes fully written or as a chart. 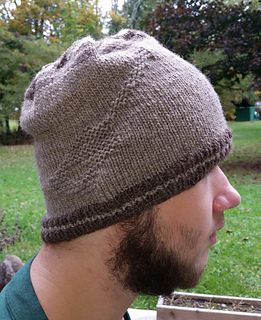 This hat matches my Guitarist Gloves, why not make both as a gift set (please note, the gloves are knit in a different yarn weight, to make the pattern fit on the comparatively small space).